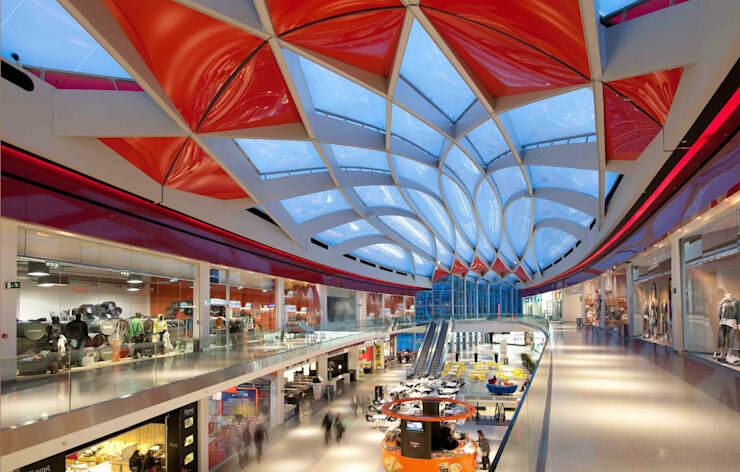 It’s probably fair to say that when most people think of examples of interesting architecture in their area, there aren’t too many shopping centres on the list. 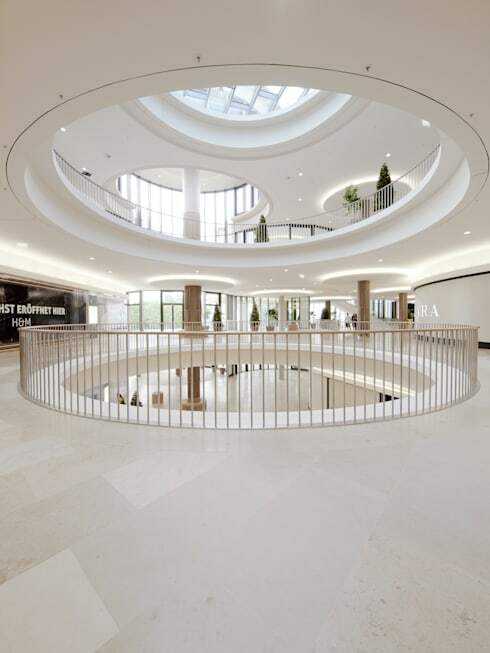 Too often shopping centres are thrown up in haste, the main priorities of the design team being to minimise costs and maximise the number of shops squashed into a limited space. The result is that spending a day in the majority of shopping centres tends to be a pretty soulless experience. But of course, as with all architectural generalisations, there are many exceptions to this rule; and these exceptions shine all the brighter for their rarity. This ideabook brings together a collection of shopping centres that have moved beyond eye-hurtingly bright strip lighting and 90s colour schemes in their design. 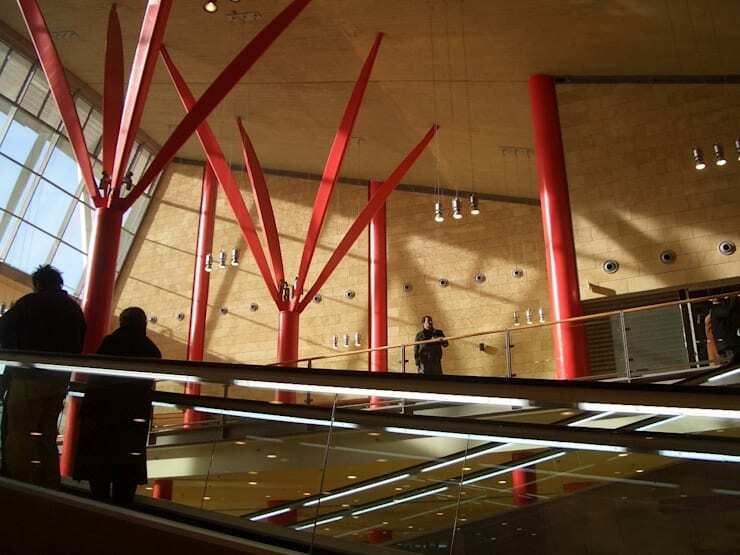 Growing out of the ground and branching out to meet the ceiling, the central pillar of this organically-influenced shopping centre is like a plant or tree reaching up to the sun. This high level of natural influence is welcome in an environment where sterility and utility can often take over. Carrying the same colour throughout the space, to the other pillars dotted around the area, enhances the effect. As this image shows, the same branching pillars also work well on a smaller scale and a different shade. The bright red chosen here creates an effective contrast with the very modern, very minimalist exposed stonework behind. This ultra white, ultra bright, ultra streamlined building strips out all the clunky, ugly elements of the shopping centre experience. 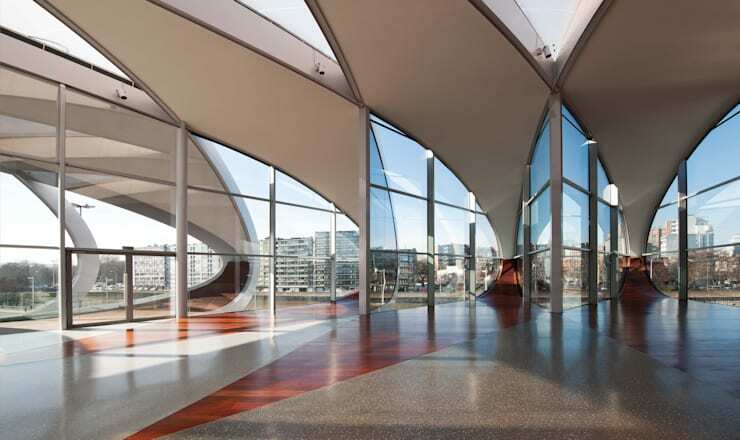 Its giant skylight ensures the space within is flooded with sunlight at all times, adding to the squeaky clean and spotless impression given off by the place as a whole. Whether it’s the huge quantity of white used, or the lack of straight lines, there is a futuristic quality here, too. Yes, it’s very sterile, but it’s a carefully planned, completely intentional sterility rather than the accidental sterility found in many shopping centres. 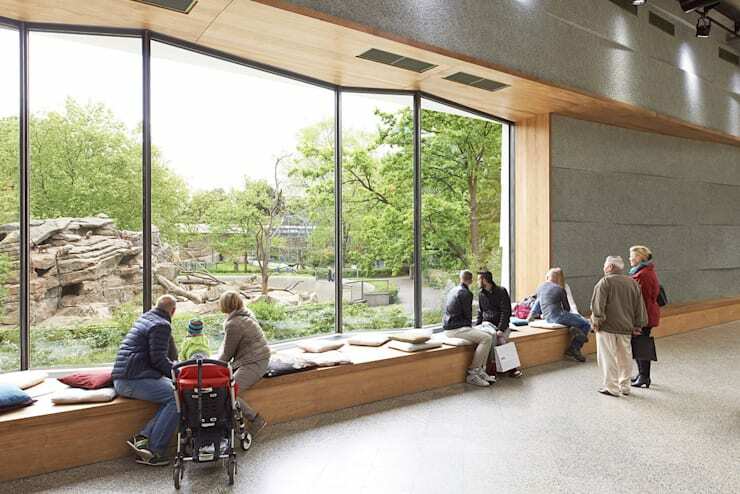 The giant window in the atrium of this shopping centre looks out onto the baboon enclosure in Berlin zoo – so even if you can’t afford the entry price you can still catch a free glimpse of some of the action by wandering in on a lunch break. Scattered with cushions, the windowsill is the perfect place to zone out with a coffee for half an hour in the company of some animal companions. 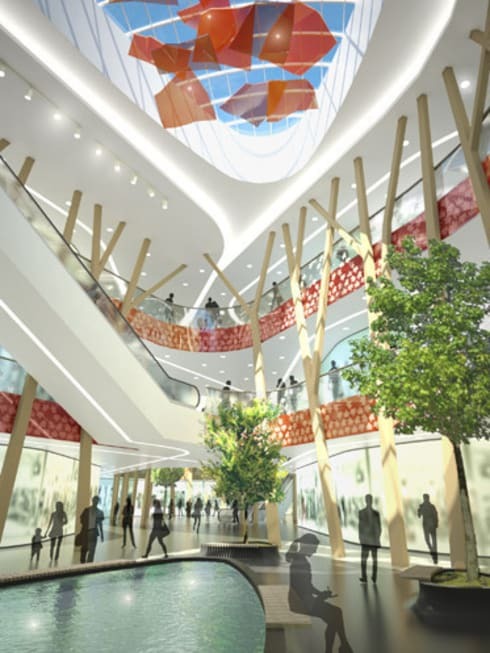 Another design that pays homage to nature, this structure makes effective use of tree-like supports, flowing lines and ample greenery in the quest to vanquish shopping centre banality. The central pool also contributes to the outdoorsy theme, appearing like a natural pond or stream within a wood. 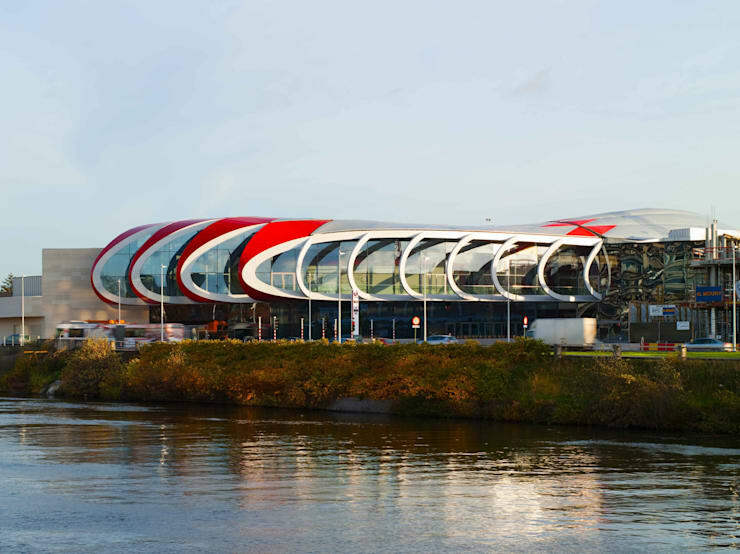 Slightly resembling an alien spacecraft crash-landed in an unexpected location, this shopping centre is divided into different sections or petals, creating an unusual multi-faceted exterior. The petal shapes are created with glass, meaning the interior of each one of a uniquely light and bright space lit from multiple angles. And as this picture shows, the architect certainly has a talent for playing with glass. 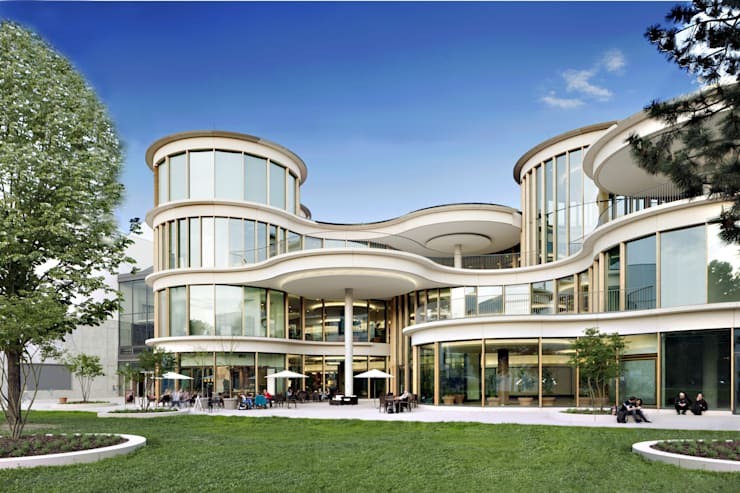 The flowing lines and asymmetrical layers in this shopping centre seem to mimic the strata in a natural rock formation. The unconventional form of the exterior is carried through to the interior, with unexpected gaps and spaces that again appear to have been designed by nature rather than by man. 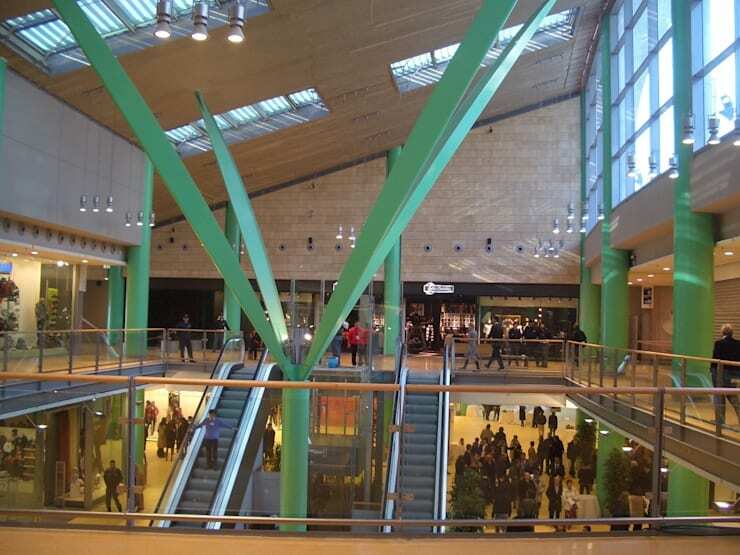 Do you have any standout shopping centres in your area? What makes them special?